This film tells the incredible story of the unique cooperation during WWII of Arnold Douwes, a Christian, and the Jewish Max Leons. 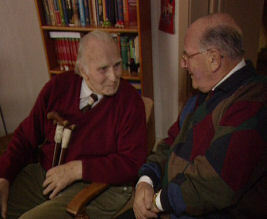 Together they saved hundreds of Jewish children in the eastern part of the Netherlands between 1942 and 1944. Mr. Douwes was awarded with the Yad Vashem medal. Produced by AVA Productions (Netherlands).